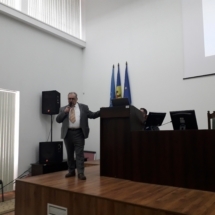 The last MATh.en.JEANS congress was held in Chișinău (Moldova) on the 12th of May in the library of the Moldovan Academy of Sciences. 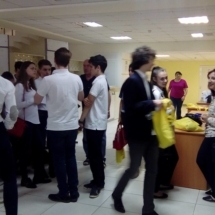 This event gathered 70 participants: students, teachers and researchers of 8 workshops from Chişinău (2 teams), Hîncești and Ungheni (Moldavie) and from the nearby Romanian city of Iași (2 teams from Colegiul Naţional and 1 team from Colegiul Naţional „Costache Negruzzi”). 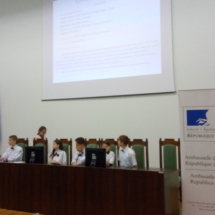 The two teams from Colegiul Naţional (Iaşi) that presented their research work via conferences and posters, like all the other students involved, are part of the M&L project. A great showcase for us!